Khenmo Drolma has studied this text many times; at the Gampo Abbey Shedra with Pema Chodron and Karl Brunnholzl, with Geshe Sonam Rinchen at the Tibetan Library of Works and Archives, and the individual chapters and verses with many teachers. In the Buddhist tradition, the spiritual teachings are offered for everyone’s benefit without charge. The concept of dana, or reciprocity and generosity, is “practiced” by everyone to support the Sangha and nunnery”s activities. 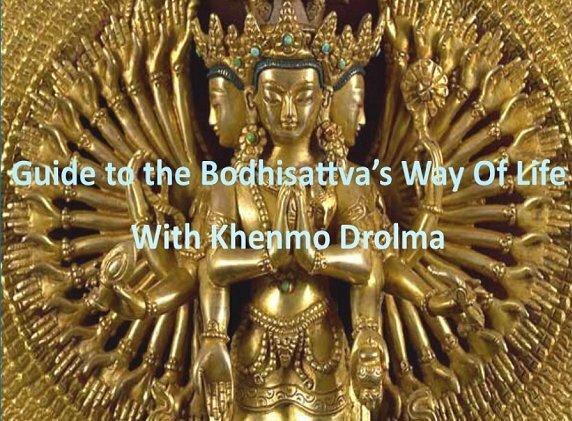 You can support Vajra Dakini and Khenmo with donations of any amount here. Diligence: How to increase our capacity to benefit others. This class will focus on the meaning of mastery and the joy of practice propelling our efforts.